The VELA Hong Kong Causeway Bay offers accommodation in Hong Kong. Guests can enjoy the on-site restaurant. Each room is fitted with a TV with cable channels. Some rooms have views of the garden or city. Every room comes with a private bathroom. For your comfort, you will find slippers, free toiletries and a hair dryer. There is a 24-hour front desk at the property. Times Square Hong Kong is 300 metres from The VELA Causeway Bay, while Happy Valley Racecourse is 400 metres away. The nearest airport is Hong Kong International Airport, 25 km from The VELA Hong Kong Causeway Bay. Wan Chai is a great choice for travellers interested in business, night-life and gourmet food. The VELA Hong Kong Causeway Bay is a hotel. Located in HONG KONG area..
Descriptionclass="small" style="text-align: justify; font-size:11px;">The VELA Hong Kong Causeway Bay offers accommodation in Hong Kong. Guests can enjoy the on-site restaurant. Each room is fitted with a TV with cable channels. Some rooms have views of the garden or city. Every room comes with a private bathroom. For your comfort, you will find slippers, free toiletries and a hair dryer. There is a 24-hour front desk at the property. 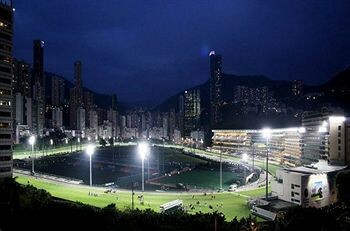 Times Square Hong Kong is 300 metres from The VELA Causeway Bay, while Happy Valley Racecourse is 400 metres away. The nearest airport is Hong Kong International Airport, 25 km from The VELA Hong Kong Causeway Bay. Wan Chai is a great choice for travellers interested in business, night-life and gourmet food.